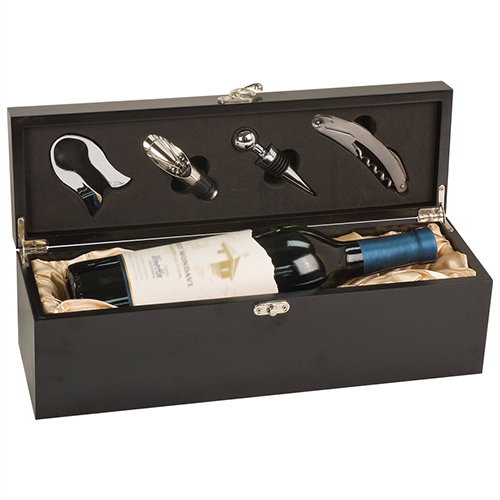 Matte Black Finish Single Wine Box with Tools. The box has a silver clasp that holds the lid down. 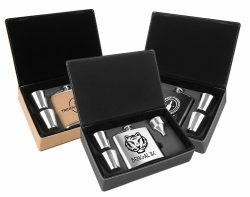 The tools fit snugly into charcoal colored foam in the lid of the box: Includes: foil cutter, decanting pourer, per and corkscrew. The corkscrew has a fold out knife, bottle opener and boot lever. The foil cutter is silver plastic. All other tools are stainless steel. 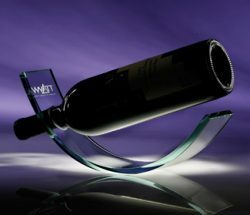 Includes piece to separate tools from the wine bottle. Cream satin lined on the inside. Will hold 1 bottle. Not all wine bottles will fit. 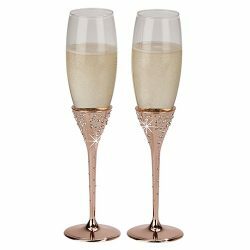 Irregularly shaped or oversized bottles will not fit. 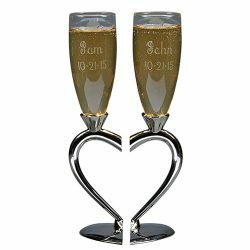 Price includes engraving on box, one location.